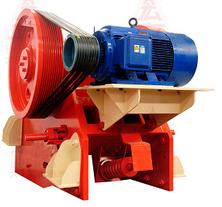 Complete 600X900 single toggle jaw crusher. Download the attached PDF for special pricing on crushing & screening equipment. All items listed in stock.